There is never a bad time to share examples of creative advertising with our friends. Ideally, a good example of creative advertising should be self explanatory without too much text. More often than not, people don’t like taking the time to look at or read advertisements, so creative advertising is important to attract attention and benefit the advertiser. An image and concise strapline should suffice. This month, we have trawled through hundreds of examples of creative advertising to bring you six splendid examples of the craft. For those creative designers who devised the idea, worked on the concept and delivered the campaign, we salute you. To commemorate Earth Day, the WWF introduced a series of advertisements to promote the fragility of our Earth. This creative advertisement example is an ideal juxtaposition of the world on an ice cream cone. 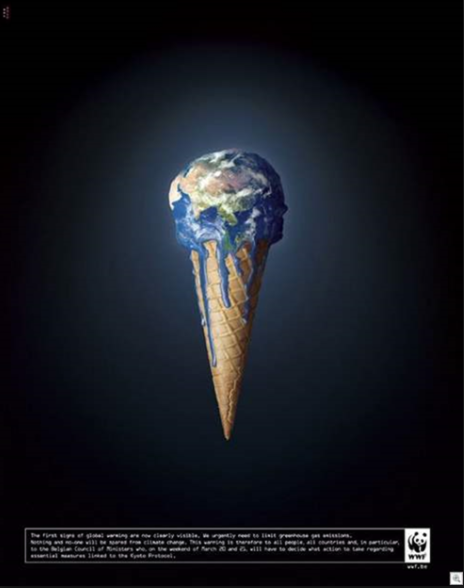 The Earth acts as a scoop of ice cream with melted parts running down the side of a cone. Making the suggestion that the Earth is as fragile, and ‘throw away’ as a melting ice cream is hard hitting and works across all age groups. What a fantastically simple creative advertisement that serves to promote their tomato ketchup as being totally full of tomatoes and nothing else. 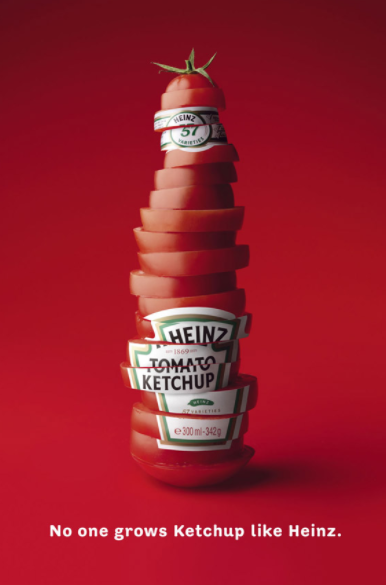 By building the familiar shape of a Heinz ketchup from slices of tomato, they are making the suggestion that the product is pure tomato, ripe, organic. And therefore perfect. A clever, pure brand-conscious example of creative advertising. The bigger the brand, the simpler the creative advertising. 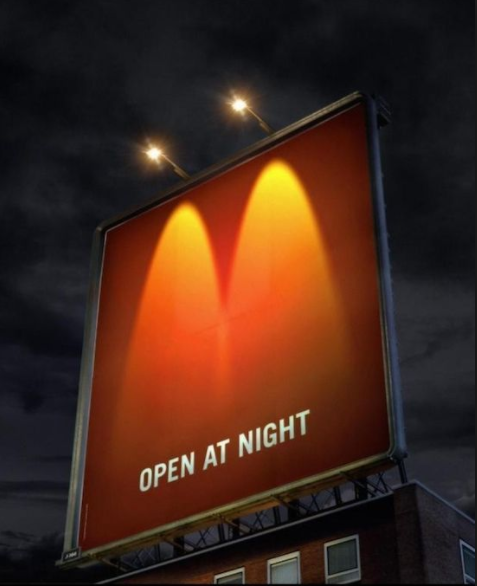 In this example, McDonalds simply promote the fact they are open at night by the use of two cleverly positioned lamps, which shine down on the billboard to create the famous ‘golden arches’ brand symbol. The fact that the use of the lights brazenly negated the need for the McDonalds logo shows confidence in the extreme. Moreover, the three words ‘Open At Night’ only really makes sense when it is night time and the lamps are switched on, therefore hitting the message head on. A very very good, clever example of creative advertising. This is another example of a product being marketed for night-time use. And, by using no words other than the brand which appears on the lid of their product. 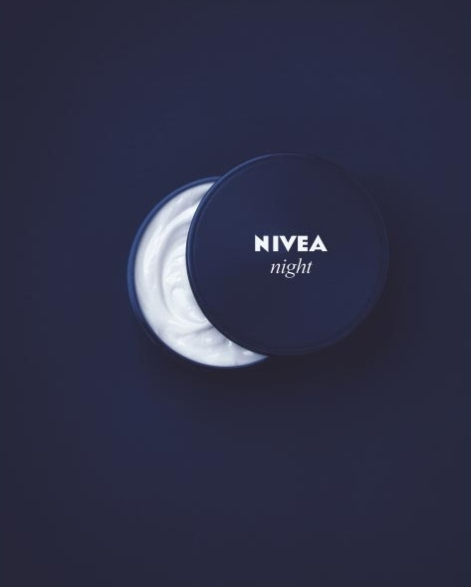 This is a great example of creative advertising using effective photography positioning the product lid to show a crescent shape of the product underneath. Shot on a brand consistent dark blue background, the white skin cream shines out like the pure crescent moon. Chupa Chups has a great reputation for tongue in cheek advertising and this one is no different. 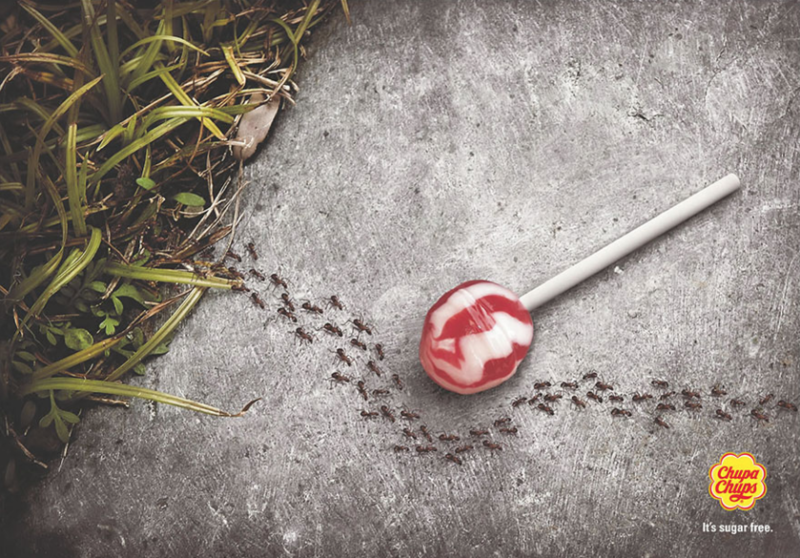 To promote the sugar free aspect of the product, and with an image of the lolly on the ground, they have made the suggestion that it is so good for you that ants won’t touch it. 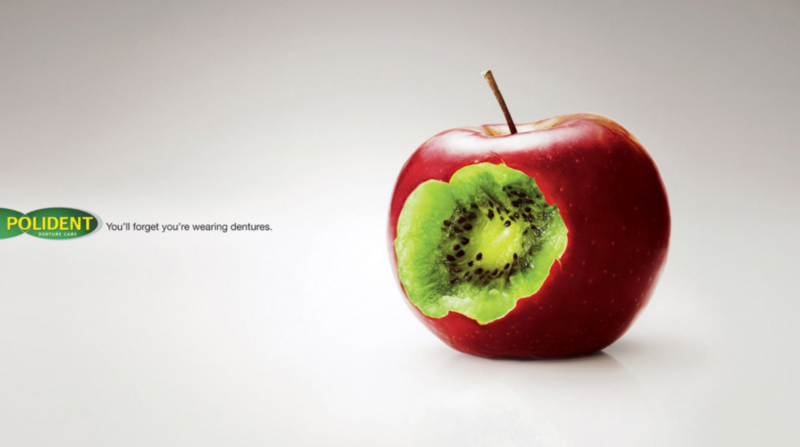 Have you seen other examples of creative advertising that you would like us to feature. If so, send the details to our creative advertising division. To view our own advertising portfolio, including commercial and creative advertising, click here.